I'm full professor at Faculty of chemistry, Univ. 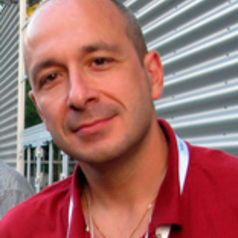 Paris Diderot, and Head of Laboratoire Inter-universitaire des systèmes atmosphériques (LISA-IPSL, CNRS/UPEC/Université Paris Diderot). I was serving as PI/co-I of at least 5 major projects in the past 15 years funded by NASA, ESA, CNES (French Space Agency), all being multi-institutionnal and international programs/collaborations. I'm currently involved in programs devoted to the characterization of the Health impacts of Air Quality/pollution. These programs are supported by experimental approaches, where living organisms are exposed to representative urban atmospheres (Paris, Beijing...) for long durations.